Image: Shiratama camera/Getty Images. Design: Ashley Britton/SheKnows. 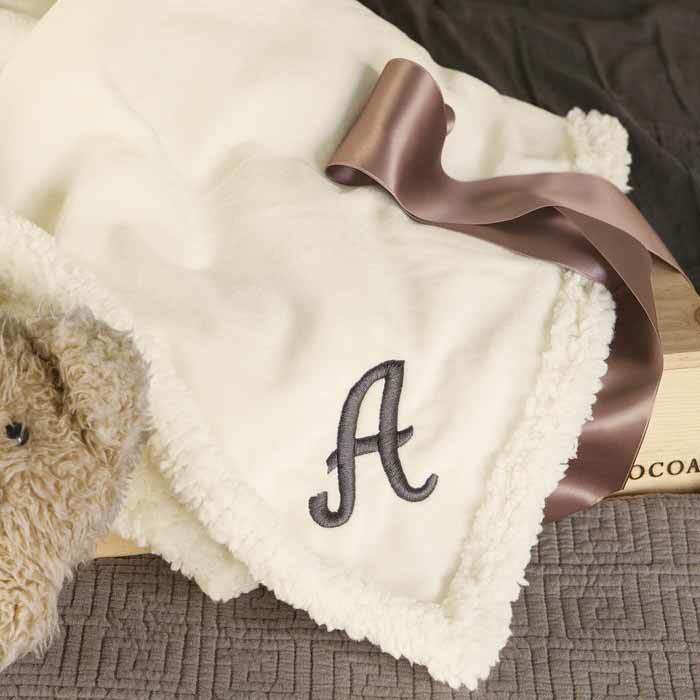 Got an adorable newborn in your life? The holidays are for gift-giving, and that holds true even if that cute bundle of joy isn’t big enough to unwrap their present. 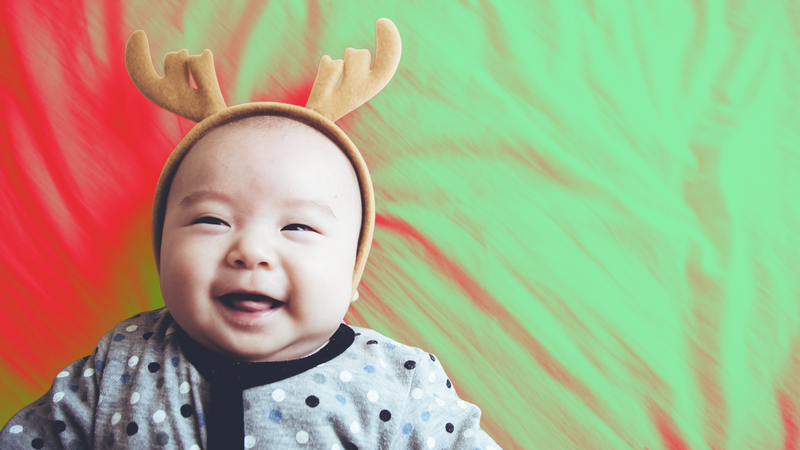 And this has been a banner year for baby stuff — from the cutest clothes to engaging toys, there are plenty of useful gifts to give to a brand-new human. 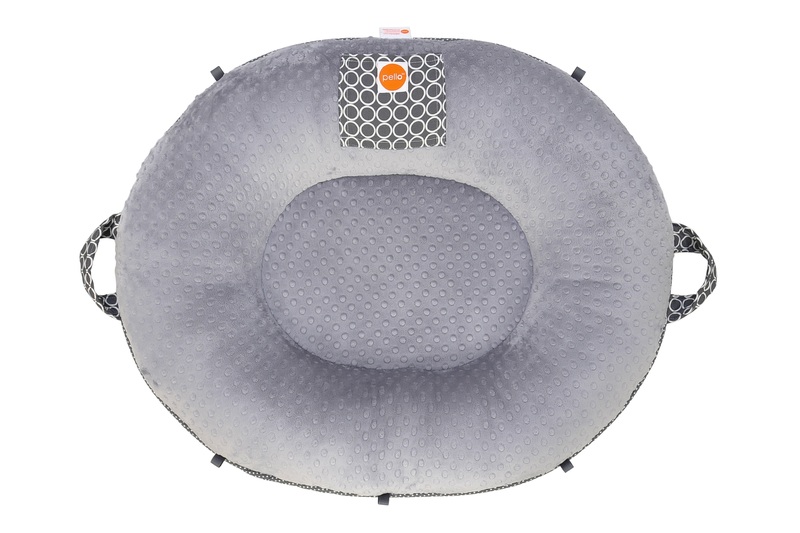 Plenty of new parents already registered for/received a lot of baby “necessities” (if you can call them that), but that doesn’t mean you’re out of luck; there are plenty of items Baby will love that their parents likely haven’t thought of. And as that baby grows, parenting (and shopping for the baby) is an ever-moving target. These items will stand the test of time, and kiddo will be able to use quite a few of them well into next year. 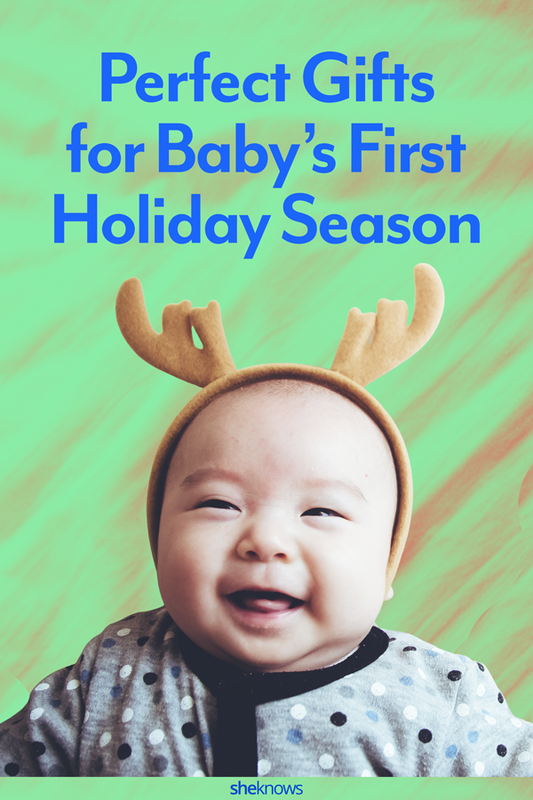 Regardless of which holiday(s) this particular baby celebrates (hey, newborns love Festivus just as much as the rest of us), these gifts will make this year memorable. Swaddles are great for infants of all ages and during any season. 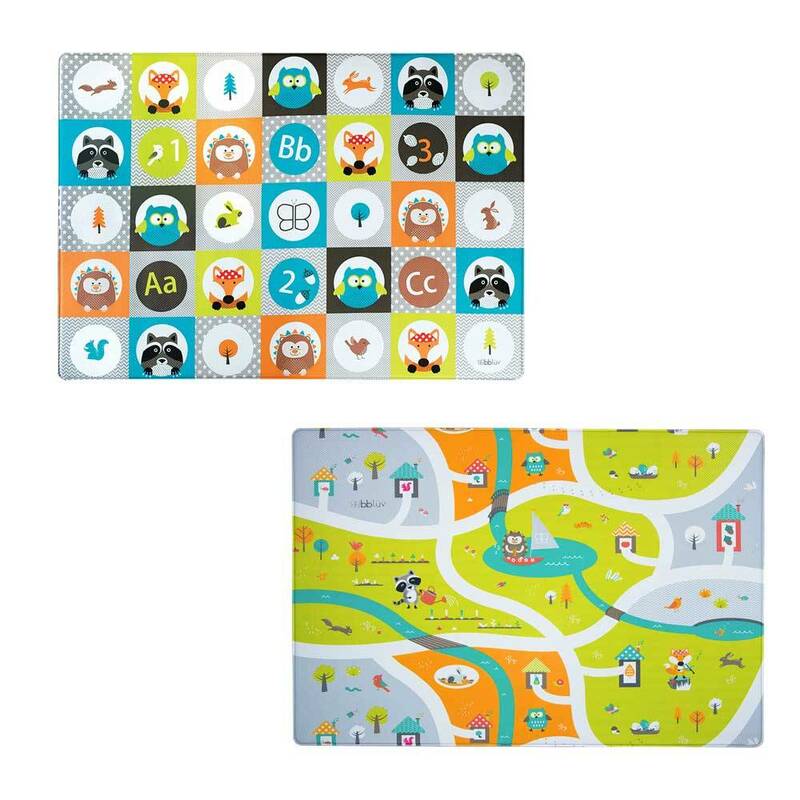 These feature a wide range of adorable designs. It’s a bib; it’s a drool-catcher… it’s a must. 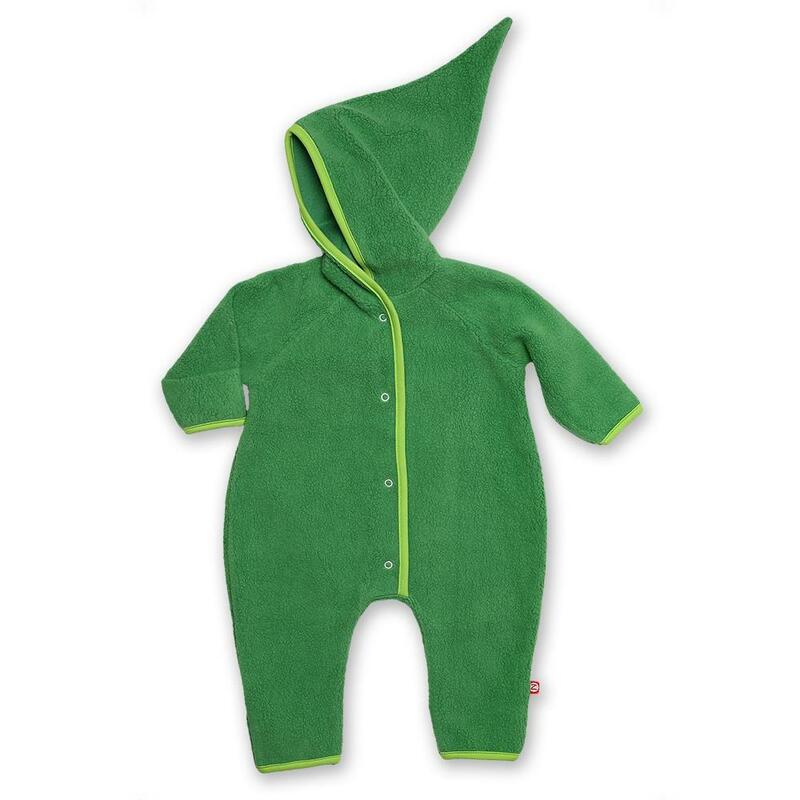 The Nuscheli, which is a Swiss-German word for “blankie” or “lovey,” is made of organic, fair-trade cotton. 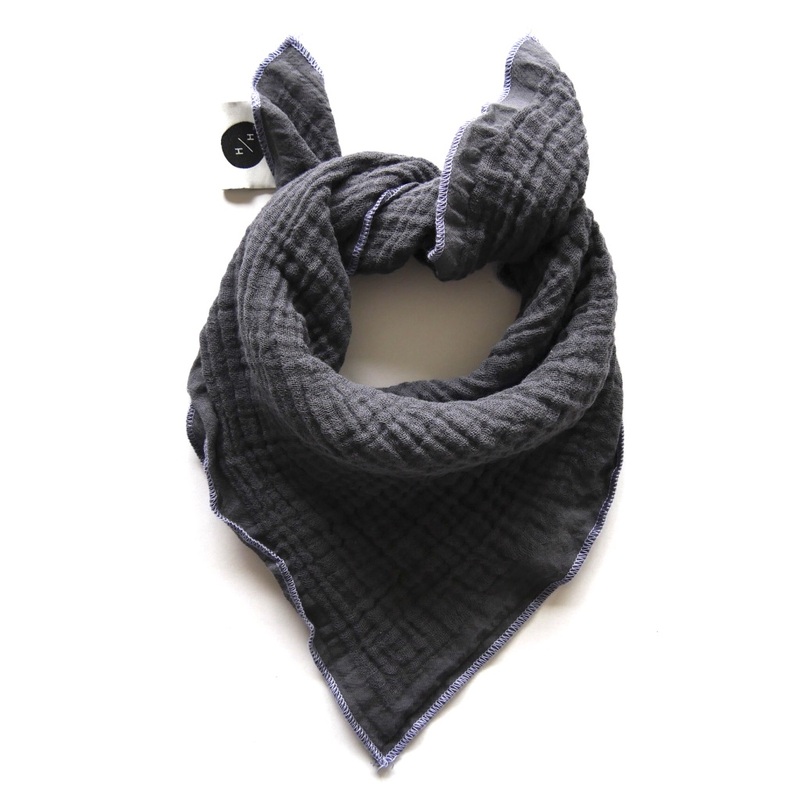 This ample-sized scarf is also different from what most parents will find in stores, so it’s a good choice if you want something unique. Lots of gender-neutral tones to choose from. Image: Beau and Belle Littles. 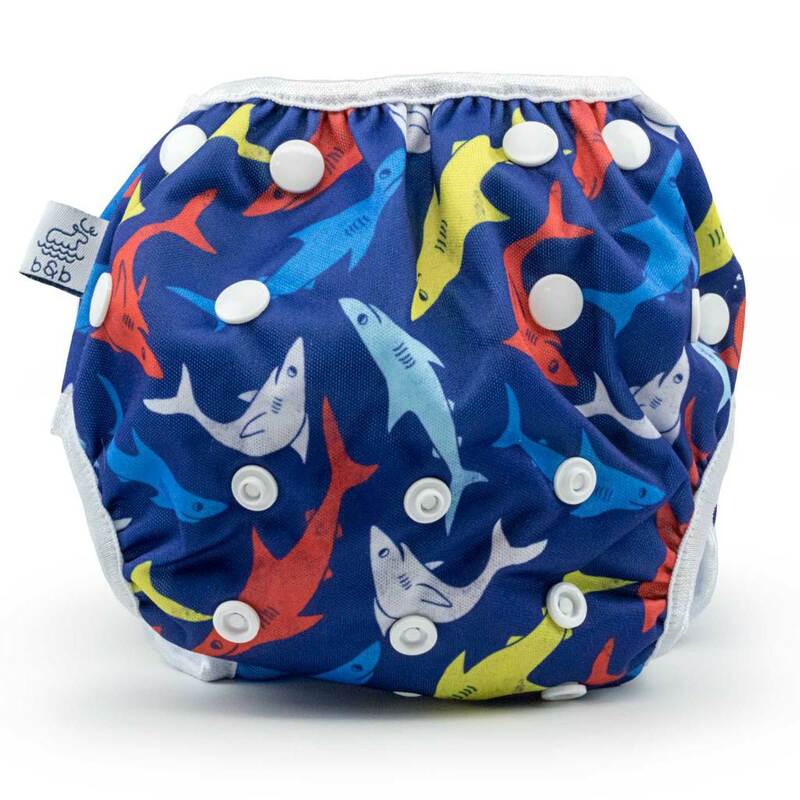 It may not be swimsuit season yet, but don’t let that stop you from gifting this reusable one-size swim diaper. The company also launched matching rash guards if you want to complete the look. Plus, that whole baby shark thing is so in right now. Parents love convertible toys that grow with their kids, and this one is perfect. It’s a gym and floor-play toy that converts into a walker. 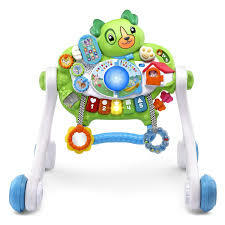 Locking wheels, speed control and plenty of activities to stimulate fine motor skills make this one a great value that takes Baby up, up and away. So long, hooter hider. This breastfeeding scarf and cover-up includes a pillow that makes it so much more. It can double as a changing surface, be used as an infant or toddler pillow or be a comfy blanket that grows with the baby. Give a gift that does double-duty by giving back to others. 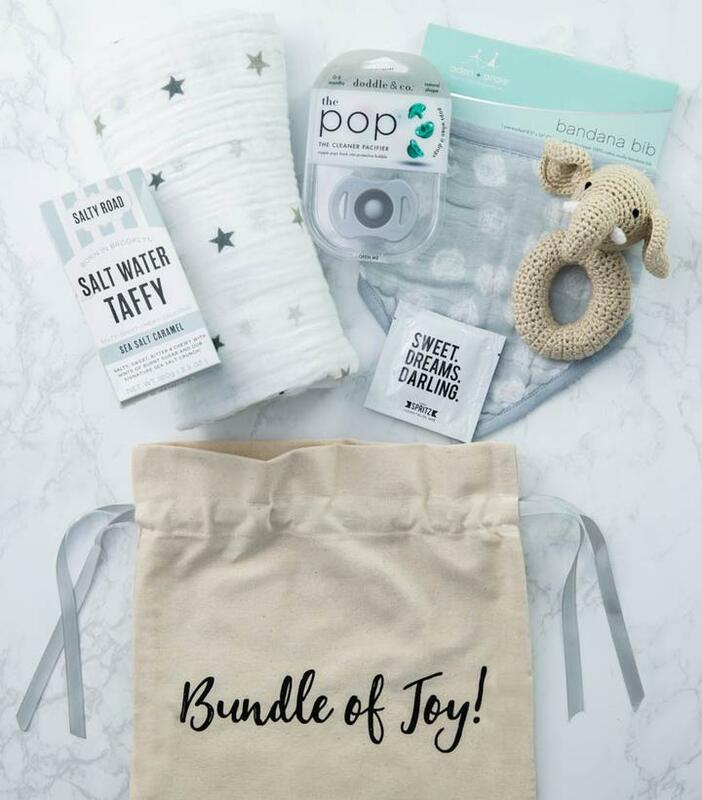 Create a unique gift bundle of baby goods that comes in a reusable canvas gift bag. The ribbon attached signifies a donation to Operation Shower, a group that hosts baby showers for expecting military parents when their partner is serving. That baby may not be a Disney fan yet. 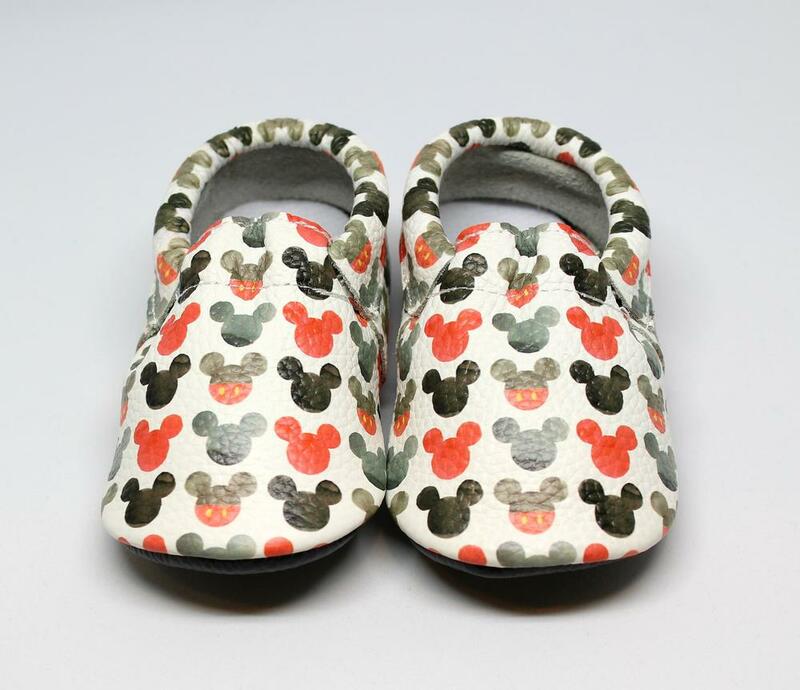 But if their parents are, this gift is sure to please: leather moccasins that feature an image that looks a lot like our favorite mouse. Is it an elf suit or a super-cozy one-piece? Does it matter? This Sherpa fleece suit is ideal to keep baby warm on the coldest of days — all while looking super-cute. 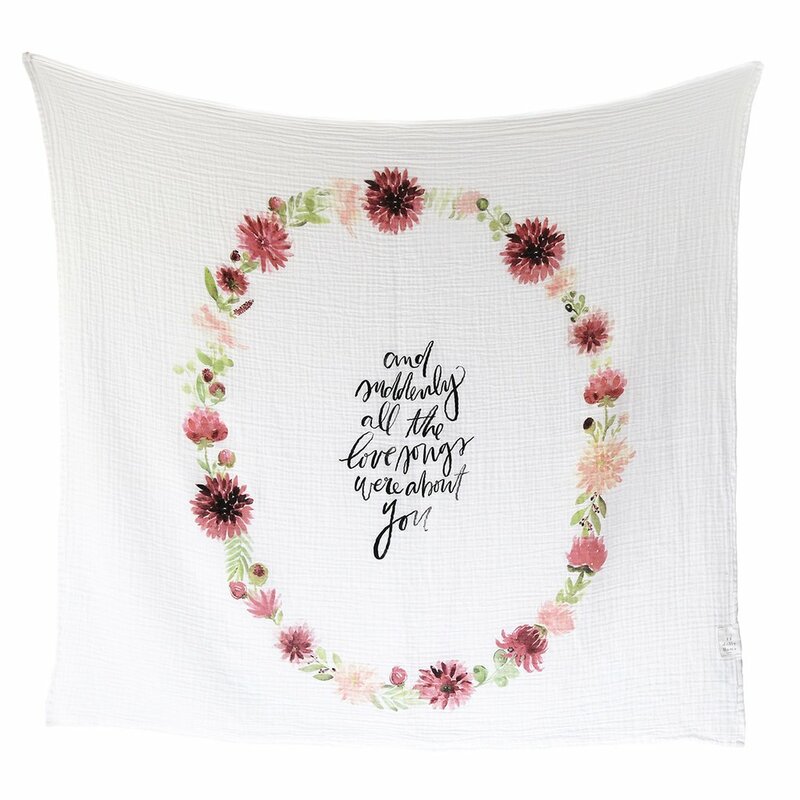 Baby blankets are a staple, and little ones will enjoy this fuzzy edition. An embroidered initial option lets you give it a personal touch. 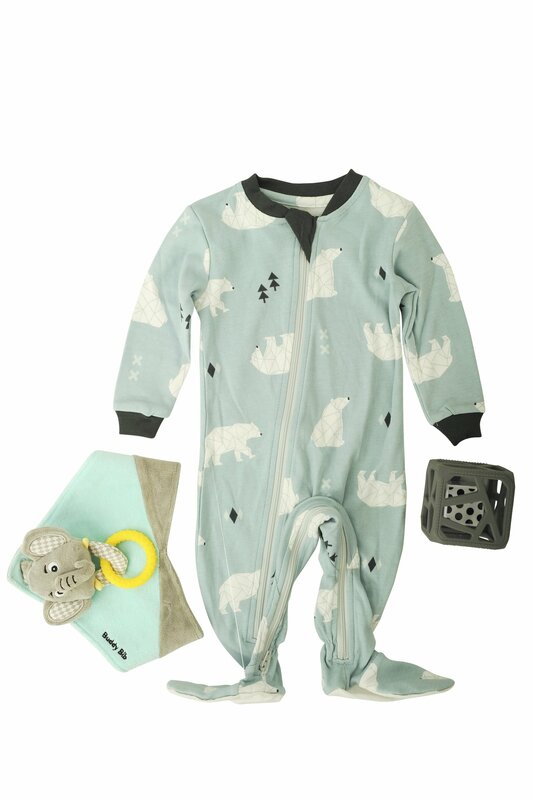 This coordinated gift set comes with a useful set of pajamas, a teething bib and a chewy teething cube. In short, it covers all baby bases. Namaste, baby. 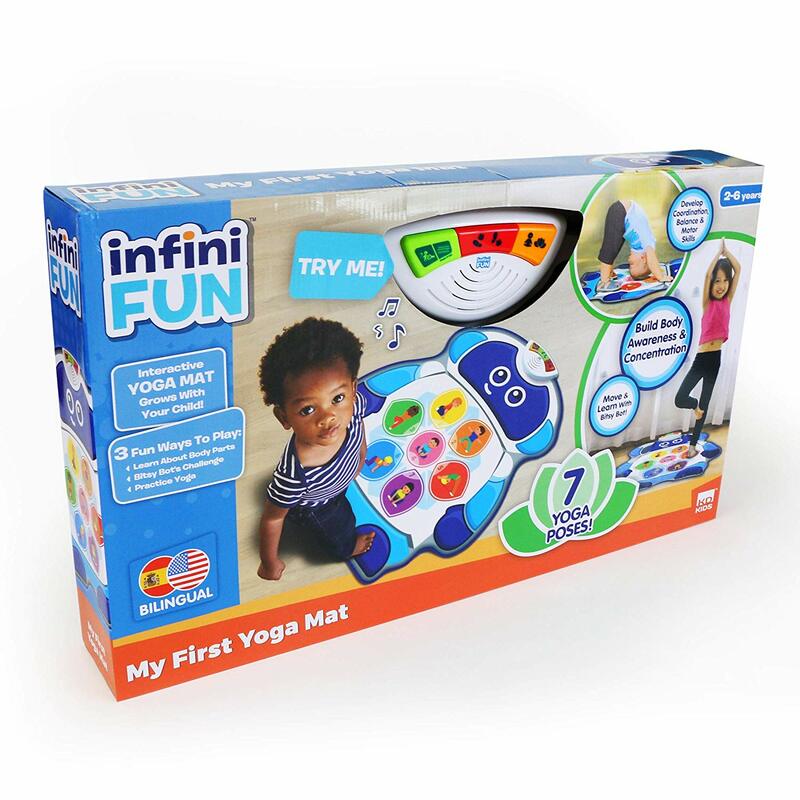 Here’s a yoga mat for kids that will grow with them as the infant learns to crawl and stand… and hopefully master a Lotus pose. 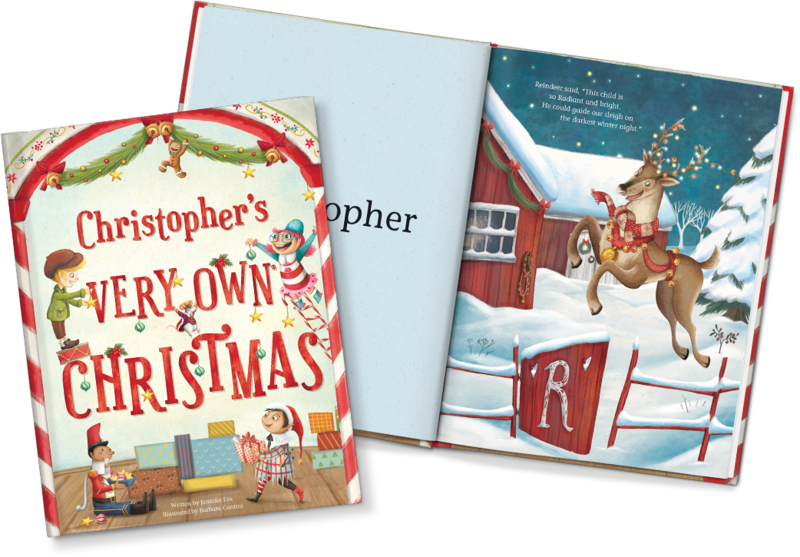 Personalize a Christmas book and ornament for that special child in your life. This makes a perfect gift for parents who cherish keepsakes. Babies need to stay well during cold and flu season, too! Perfect timing. Saline nasal mist, cough syrup and more are included in this nifty set. Can’t choose between all those cute baby essentials? Get them all in one fabulous gift set. This one comes with a burp cloth, blanket, stroller blanket, cap, two tops and a pair of bottoms. Perfect for an infant who recently came home for the holidays. Socks are always a great gift for any age (What? No? Just us?) 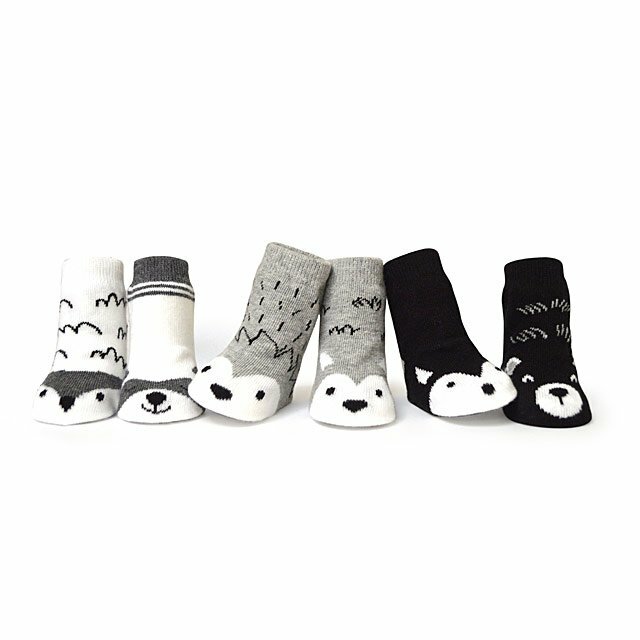 and these monochrome critters are too cute. Save space in the nursery with this waterproof, washable rollout mat that can take an infant from tummy time to baby yoga. Flip it over to switch patterns. If that bundle of joy celebrates Christmas, a first Christmas ornament is in order. 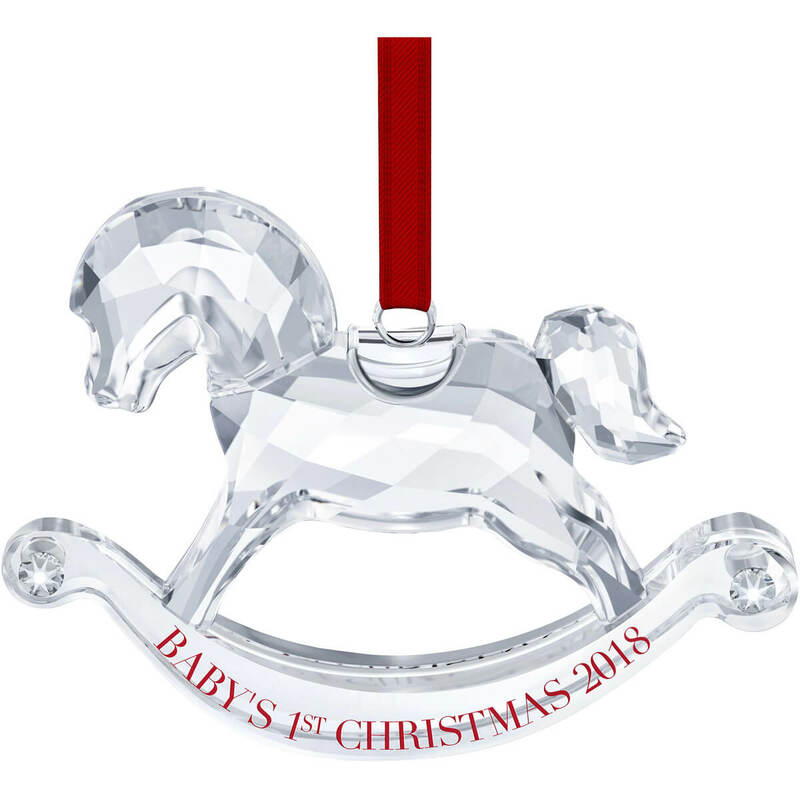 This 2018 Swarovski crystal rocking horse is an elegant gift option to commemorate the first year in style. 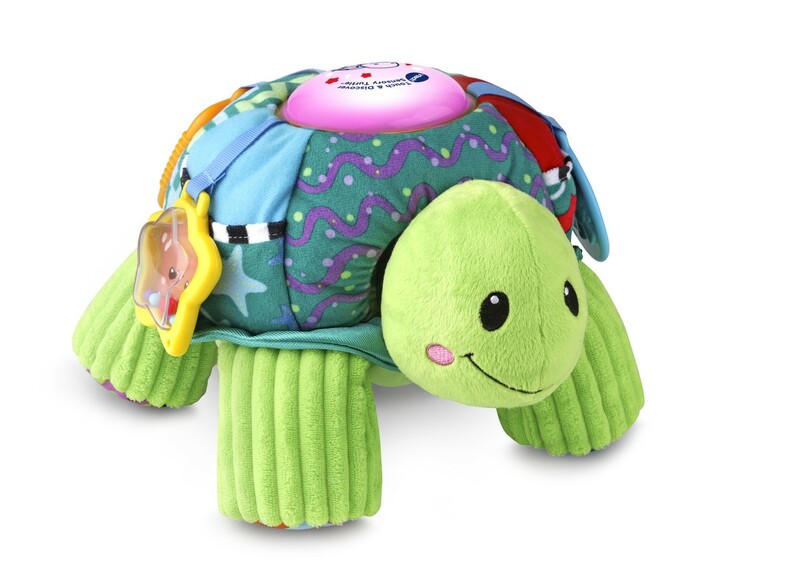 This turtle is a pure sensory delight, with plenty of textures, colors and patterns. Plus, it turns into a ball for even more play options. Oh, and it lights up and plays music as well as sounds and phrases. What more could a kid ask for? Christmas pajamas typically get all the attention, but this Hanukkah one-piece footie jam really steals the show. Maybe kiddo will keep it clean for eight nights? For now, it may just be a nursery decoration. 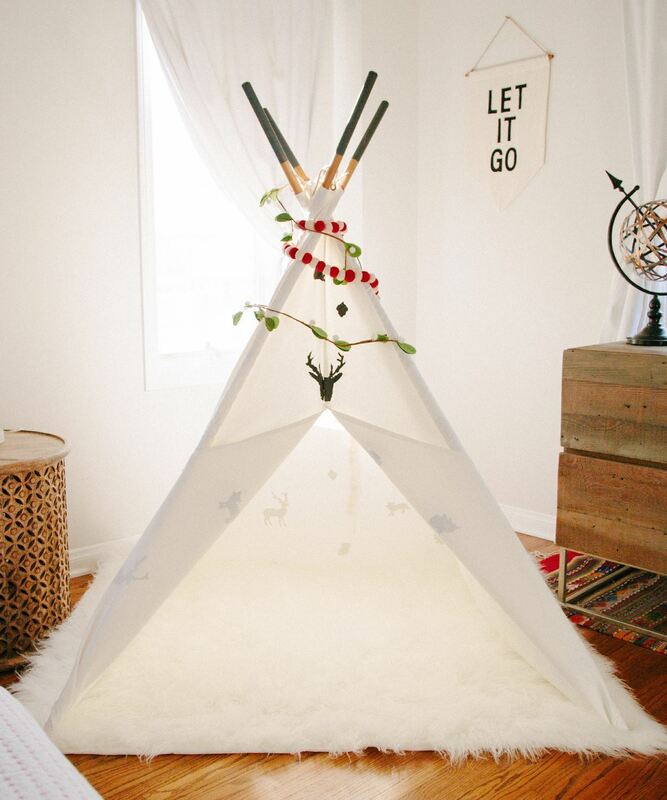 But as Baby grows, this canvas teepee turns into the perfect hideaway — and it comes with paints so they can get creative with their own private play space. Pin this and start shopping!